The 1st International Summer School on Proof Theory in Ghent is arranged under the auspices of The Proof Society, and is sponsored by the Kurt Gödel Society. The Proof Society has recently been formed to support the notion of proof in its broadest sense, through a series of suitable activities; to be therefore inclusive in reaching out to all scientific areas which consider proof as an object in their studies; to enable the community to shape its future by identifying, formulating and communicating it most important goals; to actively promote proof to increase its visibility and representation. The aim of the summer school is to cover basic and advanced topics in proof theory. The focus of the first edition will be on structural proof theory, ordinal analysis, provability logic, and automated theorem proving. Other areas like reverse mathematics, proof mining, and proof complexity will be covered at the workshop, and in follow up summer schools. The intended audience is advanced master students, PhD students postdocs and experienced researchers new to the field in mathematics, computer science and philosophy. Students are invited to apply with an informal abstract (1 page) to the poster session. 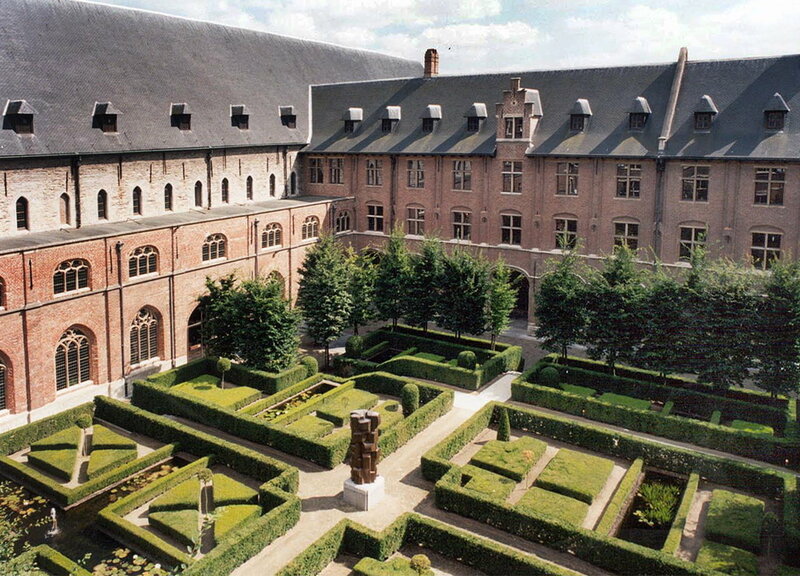 The summer school is co-located with a workshop on proof theory in Ghent (6-7 September). The workshop will be the inaugural meeting of The Proof Society. The school will consist of 6 four hour courses. In addition there will be a poster session. The best poster will be awarded with an original painting by Andreas Weiermann. The lectures start on Sunday September 2, 9:15 and end Wednesday September 5, 16:00. Certificates for participation will be provided. The winners of the best poster award are Aleksandra Samonek [poster] and Evgeny Kolmakov [poster]. Picture of Het Pand by Hilde Christiaens. To register and submit a poster please download the linked application form and follow the instructions given there. For accomodation we suggest to consult the information of the Visit Ghent website. A youth hostel is located in the city center. For any ques­tion re­garding the event you can con­tact the or­ga­nizing com­mittee at David.Belanger@ugent.be or Andreas.Weiermann@ugent.be. Students who are members of the ASL, may apply for ASL travel funds. Applications have to be addressed directly to the ASL, see their web-site for more information. Applications should be received by the ASL at least three months prior to the start of the meeting, in this case by 2 June 2018.